Luis “Louie” Miramontes had a sweet swing, a passion for junior golf and a bright smile for his hundreds of friends, and when cancer claimed his life in 2008 at the too-young age of 41, it left a big hole in the North State golf community and beyond. His close friends stepped in quickly to help by hosting a golf tournament to establish a trust fund for his two children, but they just didn’t feel like that was enough. 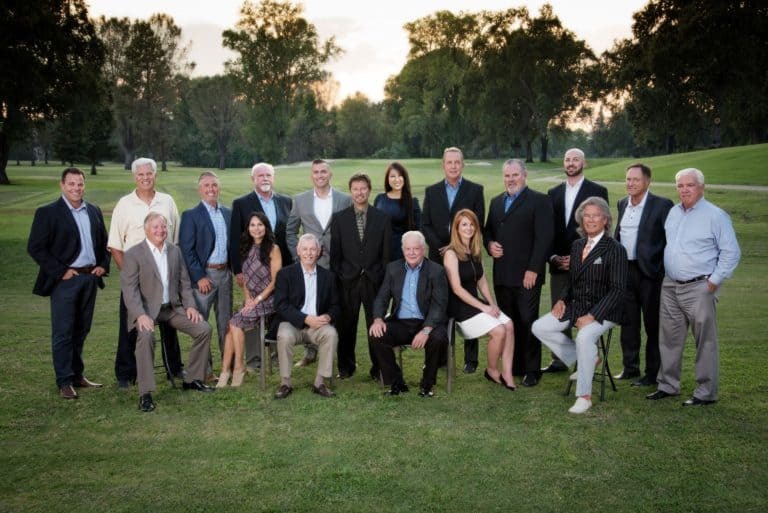 So those same friends reconvened recently to come up with a more significant way to honor the Gold Hills golf pro’s memory and continue his efforts to help others. A consensus was reached to focus their efforts on enhancing cancer care in the North State with an emphasis on the treatment of prostate cancer, and they created the nonprofit Luis Miramontes Memorial Foundation. To refine their goal and identify critical needs, foundation members sought advice from physicians and other healthcare professionals and ultimately decided to partner with Mercy Medical Center and focus on medical equipment, in particular, the acquisition of a da Vinci robotically assisted surgery system. “The system is highly sought after and the nearest one is in San Francisco,” Gaines says. The system employs state-of-the-art robotic and computer technologies to translate a surgeon’s hand movements into incredibly precise micro-movements. The minimally invasive surgeries are monitored through a high-definition, three-dimensional camera that provides a magnified image. “With this system, a doctor can run a wire through a vessel the size of a human hair—it’s that precise,” says Gaines. The system continues to gain favor for prostate surgeries due to its ability to lower the occurrence of incontinence, impotency and other possible side effects of prostate surgery. The timing couldn’t have been better, says foundation member David Jackson, Program Supervisor for Redding Electric Utility (REU). Shortly after identifying the da Vinci system as a need, news surfaced that a Catholic Healthcare West hospital had one for sale and Mercy Medical Center purchased it. In addition to committing to funding the maintenance and training costs associated with the da Vinci system, the Luis Miramontes Memorial Foundation also plans to support clinical trials and other research, and the Foundation is considering a scholarship fund to help cancer patients and their families with treatment-related expenses. To fund the foundation, Gaines, Jensen and the others have drawn inspiration from the Danny Thompson Memorial Golf Tournament, a four-day event held each year in Sun Valley, Idaho, that last year generated some $700,000 to fund leukemia treatment and cancer research in Minnesota and Idaho. The tournament, established 34 years ago by baseball great Harmon Killebrew and the late Idaho Congressman Ralph Harding in honor of Minnesota Twins shortstop Danny Thompson, has raised more than $12 million. “We’re using that as a business plan. We’d like to do a two-or-three-day tournament and use a couple of courses. But we’re going slow and want to do it right. We want to improve on the events each year, but the golf tournament will be the flagship event,” Jensen says. The foundation also is planning a comedy night at Win-River Casino this spring and a fundraising concert in the summer. “I wouldn’t be surprised if all the goals are met, going by the ambition of this group,” says Miramontes’ widow, Machelle, a fifth-grade teacher at Boulder Creek School and president of the foundation’s board. “ Wow! What an incredible, overpowering feeling it is to know Louie was so loved. It’s overwhelming and beautiful. That message is already getting through, Machelle says, as she thinks about her daughter Alexa, a residential and commercial interior designer, and her son Luis Jr. (known by most as “Little Louie”), a patient’s assistant at Mercy Hospital and future Nurse Anesthetist. Jon Lewis has been a writer for the past 31 years, working at newspapers in Woodland, Davis, Vacaville and Redding. A longtime San Francisco Giants fan, his interests include golf, fishing and steering clear of what appears to be a resident cat-cougar hybrid. He has called Redding home for 25 years.